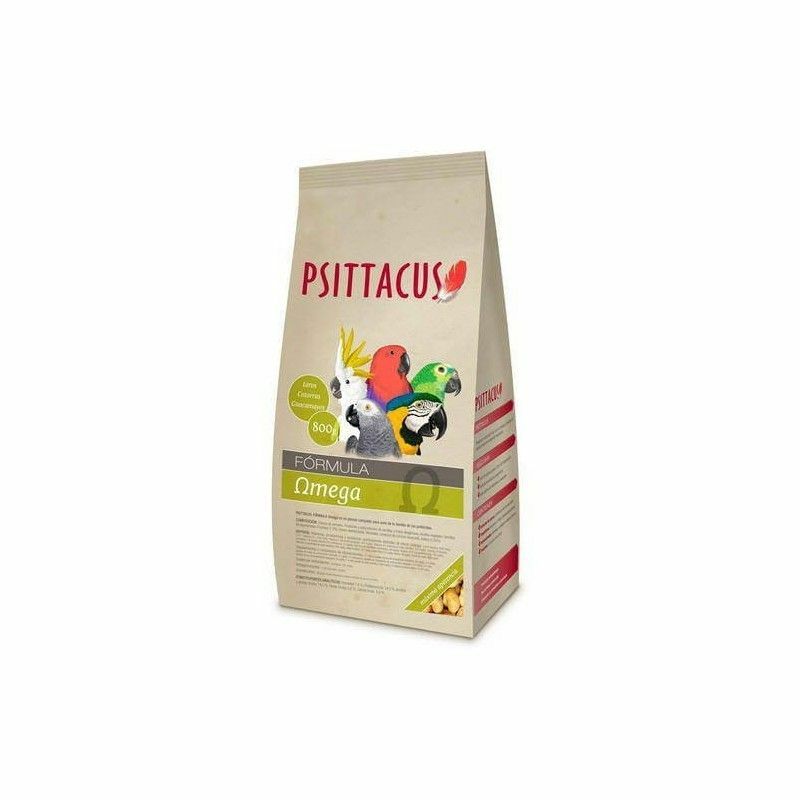 This fantastic I think of Psittacus is indicated as food of transition from the animal to stop taking porridge until adulthood. This is a I think perfect for the power exclusive or complementary bird psitácidas, such as parrots african or yacos. 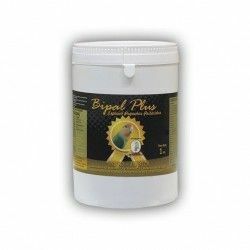 It is formulated in a manner that helps to stimulate the growth of the chicks, ensuring an optimal development. 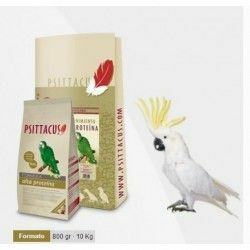 Thanks to its high level of protein with an amino acid profile suitable, it is suitable for stages of higher demand for nutrients. 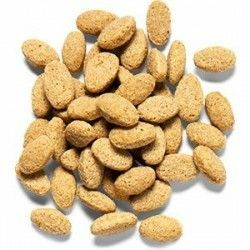 In addition, their levels of fatty acids and the presence of Omega 6 and Omega 3 make it even more complete this I think, so while your pet enjoys this I think of great palatibiliad, you will be providing everything you need. I think an ideal place for both feeding exclusively as complementary of the psitácidas. Formulated to ensure the optimal development of the birds. Presncia of Omega 6 and Omega 3. I think power branded or companion to birds psitácidas of medium size or large. 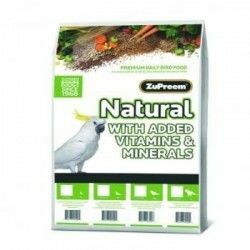 Indicated for young birds or with nutritional deficiencies. 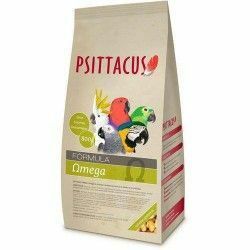 Next to this I think you can add fresh fruits and vegetables, however, it is recommended that the amount of Psittacus Omega in the diet does not fall below 70 or 80% of the total of the same. When the feeding is solely on the basis of this, I think, we do not recommend supplementing the diet with any type of supplement or vitamin and/or mineral. Although the feed may be administered ad libitum, it is important to renew it with some frequency. 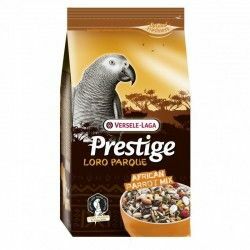 Ingredients: grains of cereals, products and by-products of seeds and oleaginous fruit, vegetable oils, seeds of leguminous plants, fructose (1,3%), dried egg, minerals, brewers yeast dried, inulin (0.05 per cent). Constituents analytical: Moisture 7,0%, crude Protein 24.0% in Oils and fats gross of 14.0%, crude Fiber about 5.6%, crude Ash 5,4%. Additives: mixtures of flavouring (contains extract of yucca 0,015%) / Sepiolita / antioxidant Substances / Trace elements or compounds of trace elements (chelates of iron, copper, manganese and zinc; iodate, calcium and sodium selenite) / Vitamins, provitamins and substances chemically defined analogous effect (A, D3, E, K3, B1, B2, B6, B12, C, Ac. Nicotinic Acid, Ac. Folic acid, Biotin, choline Chloride), B-carotene). The adequate intake should be between 5 and 8% of the weight of the animal. For example, a species of average size consumes daily about 25 and 40 grams. 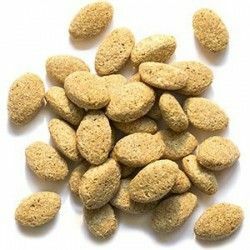 This dosage always also depends on the activity and condition of the animal.